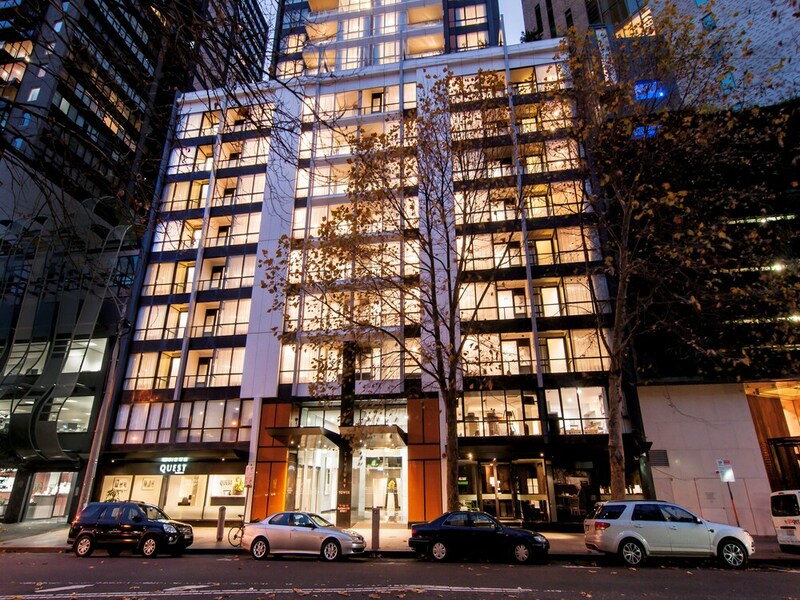 Quest Southbank is centrally located in Southbank, a 5-minute walk from Eureka Skydeck 88 and 5 minutes by foot from Melbourne Arts Centre. This 4.5-star apartment is 0.4 mi (0.6 km) from Southgate and 0.9 mi (1.4 km) from Melbourne Convention and Exhibition Centre. Make yourself at home in one of the 88 air-conditioned rooms featuring kitchens with refrigerators and microwaves. Rooms have private balconies. 40-inch LED televisions with digital programming provide entertainment, while complimentary wireless Internet access keeps you connected. Conveniences include phones, as well as desks and separate sitting areas. Be sure to enjoy recreational amenities including a sauna and a fitness center. Additional features at this apartment include complimentary wireless Internet access and concierge services. Take advantage of the apartment's room service (during limited hours). Continental breakfasts are available for a fee. Featured amenities include a 24-hour business center, limo/town car service, and complimentary newspapers in the lobby. Self parking (subject to charges) is available onsite. Quest Southbank features a sauna and a fitness center. A computer station is located on site and wireless Internet access is complimentary. Business-related amenities at this 4.5-star property consist of a 24-hour business center and limo/town car service. This business-friendly apartment also offers tour/ticket assistance, concierge services, and complimentary newspapers in the lobby. Parking is available onsite for a surcharge. Quest Southbank is a smoke-free property. A complimentary grocery shopping service is offered and room service (during limited hours) is available. Recreational amenities at the apartment include a sauna and a fitness center. Cribs (infant beds) are available for AUD 7 per night.